Last night we had our end of season tournament with a slightly smaller draw than usual however the competitiveness remained high. 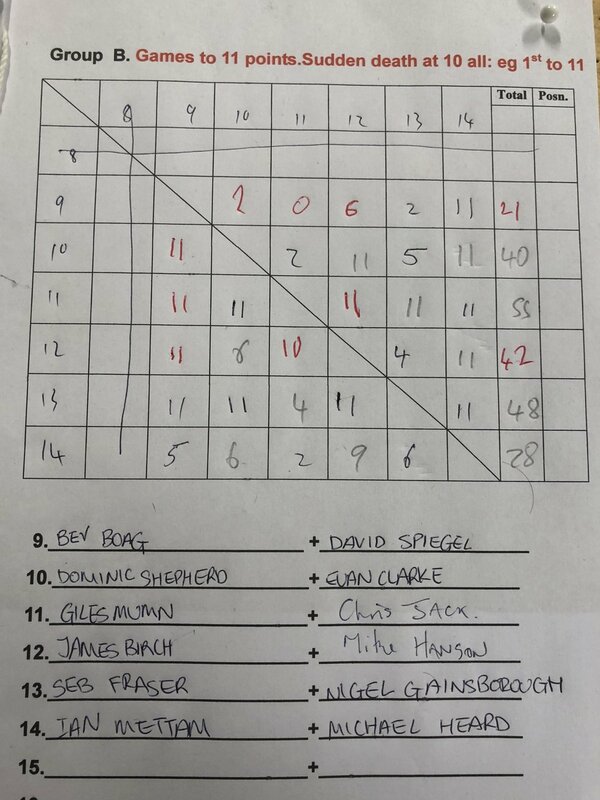 Last year’s winner and international squash star Bev found the change in partner from David Butler (2017) to David Spiegal (2018) surprisingly difficult, I think Bev must have given all for Queen and country at the weekend.... The final was played between Kieran Mackison (Winchester College) and Wendy Carling who were edged out by Giles Munn (surprisingly winning the Letchworth Bowl for the first time) and one of our new recruits Chris Jack. Having enjoyed telling all at work that Chris lost to an > 75 year old last week at fives, I now fear I must spend the Summer being told by Chris you are only as good as your last game. Much fun was had by all and the scores are displayed to ensure all bragging rights are factually based.